The picture below shows how the screw or nail holes can be used to attach the Happy Daisy Windvane in an upright position. 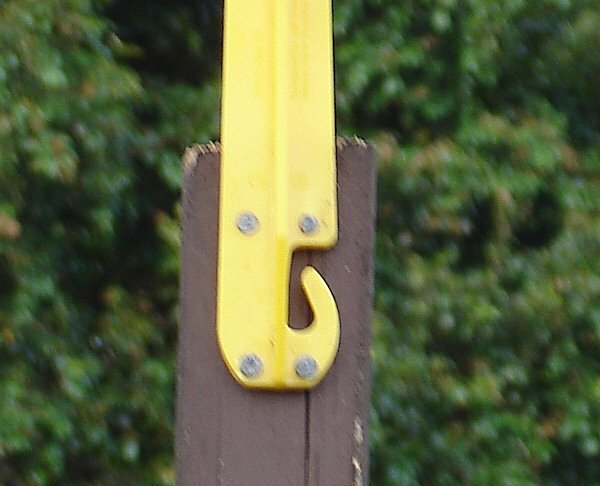 However if you want to suspend the Happy Daisy from a tree or a pergola, a clothes line or the eaves or facia board you will be able to use the hook (and it is designed not to be able to be blown off. Quick and easy to install, It all just clicks together. To Assemble your Happy Daisy Wind Vane. Step 1. Press the tip of the body int the hole in the centre of the Fan until it clicks into place. Step 2. Press the tip of the stem into the hole in the body until it clicks into place….It’s as simple as that!